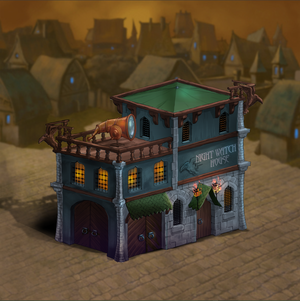 The Night Watch House is a building in the town of Tinderbox. The city council was concerned about the great number of crimes committed every evening in Tinderbox but are proud to announce that since reducing police funding the number of arrests has plummeted! This page was last edited on 1 March 2019, at 03:01.